Meizu just announced its first smartwatch, sort of – it’s getting crowd-funding site Taobao. The Meizu Mix is more of an activity tracker variety, it has a traditional analog face (not a digital display), but it incorporates some smart features. The watch has a notification LED and can also vibrate for new events. It connects to your smartwatch over Bluetooth LE (you’ll need Meizu’s app installed) and its 270mAh battery will last 240 days. 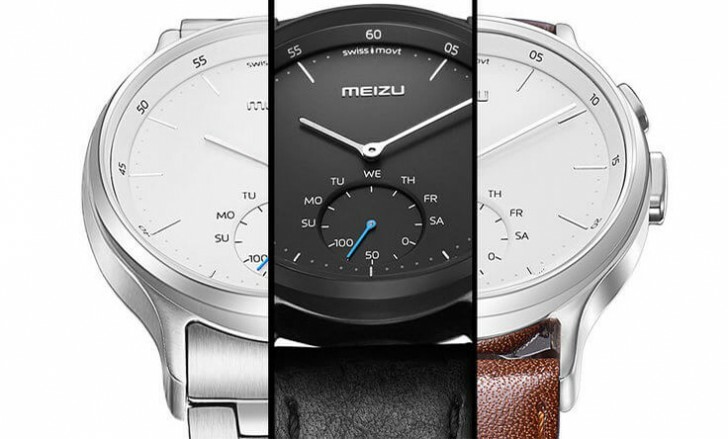 The Meizu Mix apparently has a Swiss movement built into a 42mm 316L steel case and a Sapphire glass. The case is available in Black and Silver and is waterproof up to 30m. For the strap, you have three options – Denim, Leather and Steel. These cost CNY 1,000, CNY 1,300 and CNY CNY 1,500 respectively. The Mix should launch in October if all goes well. Note that even the Denim version is around $150 and for that kind of cash you can have a Withings Activite Steel.